So funny! So sweet! 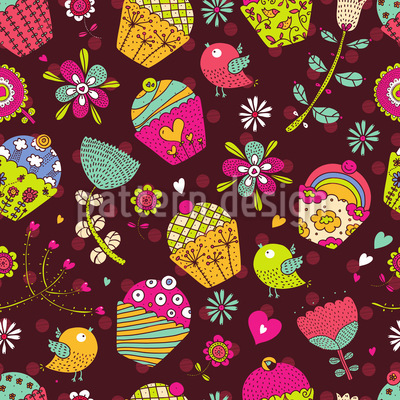 Wonderfully delicious cup cake design with fantasy flowers, hearts and sweet bird.